Happy National Athletic Training Month! As the word is spreading, more information is being collected about the extent of athletic training services through out the country. KSI and the NATA secondary schools committee continue to work together to encourage athletic trainers employed in the high school setting nationwide, to complete the ATLAS (Athletic Training Locations and Services) survey. The ATLAS team has been working very closely with Denise Alosa, the District 1 secondary school representative from Vermont the past months. Thanks to her hard work in the state of Vermont, they are one of the first states to have responded and collect information whether an athletic trainer is present and the extent of coverage at every school in the state of Vermont. “The information in the survey is amazing, it can provide contact information within their own state or if you are looking to higher an AT for your school or improve a situation; the maps can be useful,” Alosa said. 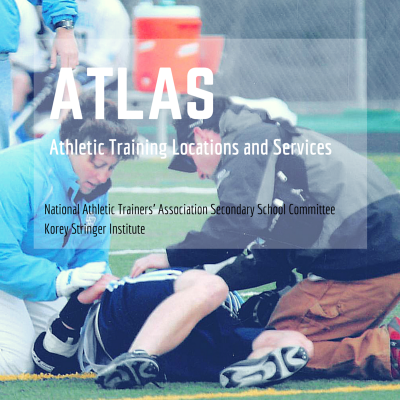 As of March 2016, more than 3,400 athletic trainers nation wide have responded to the ATLAS survey. Alosa working hard with the ATLAS initiative comments, “Being in the profession for a long time, I have seen it evolve, you have to get involved to keep things moving forward”. The use of these maps can be helpful for present athletic trainers in the work force as well as new athletic trainers seeking positions as the vocation continues to grow and evolve. With the influx of completed surveys the last few months, it is becoming more apparent what the survey can provide. Denise Alosa added, “Eventually we will be able to obtain insurance information, policy information and best practices within each state. It is good to start somewhere now, where it is doable. Any grass roots have to start somewhere.” The ATLAS Project has grown immensely since it was created years ago, with the dedication of an extensive work force of volunteers, undergraduate students, graduate students, post-doctorates, professors and athletic trainers nationwide. This entry was posted in Blog Post and tagged Athletic Trainer, ATLAS, NATA, Secondary School.